← Vegan MoFo. Day 4, Part 1 – Weird Food Combo! However, I like this idea. I’ve always been an experimental chef, which is something I learned from watching my dad, who I miss very much. Unfortunately, a bout with cancer took him from us far, far too soon. I hope that in some way, my experimentation with food serves to keep his memory alive. I suspect that my dad’s food experimentation was born of necessity – I remember seeing him come into his own as an experimental chef only after my parents got divorced. 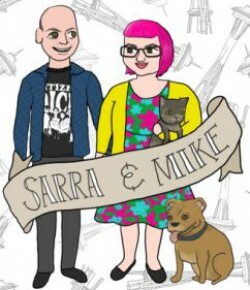 On the nights that I got to spend with him, he would always scrounge some odd (but delicious) dinner from the dregs of a newly bachelorized refrigerator. My absolute favorites were his omelets…whatever he had in the fridge or the pantry would go in there, and I spent my college years doing it exactly the same way. But I digress – tonight is not about omelets. In fact, tonight is not even about making weird stuff up on the fly. Tonight is about a recipe I’ve been aching to try since we bought Joni Marie Newman‘s “The Best Veggie Burgers on the Planet” last year – The Chinese Take Out Burger. Basically, we’re talking about a fried rice patty on a bun. Ridiculous? Yes. Delicious? Well, we’ll find out, won’t we? First, I cooked up some plain white rice. 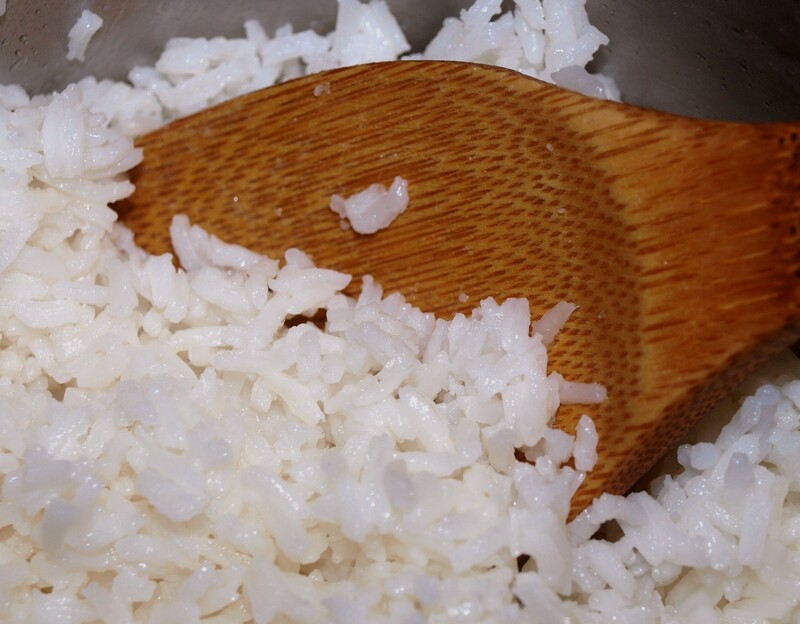 Plain white rice gets a bad rap for its supposed lack of nutritional value, but it’s kept a lot of people fed for a lot of years, and I’m standing by it. Bonus: it tastes great! While the rice was cooling, I pulled together the glaze for the burgers and a side dish. The glaze is right out of every cheap, Americanized Chinese restaurant you’ve ever been to. It’s a mixture of water, orange juice and zest, lemon juice, soy sauce, garlic, ginger, rice vinegar, red pepper flakes, and sugar, thickened with a cornstarch paste. The side dish I chose for this meal was not a weird combination. In fact, it was pretty straightforward. However, in keeping in the spirit of my dad, it was completely improvised. I tossed some broccoli, a sweet red pepper, and garlic in a mixture of avocado oil, toasted sesame oil, and salt, and roasted the whole mess at 400 degrees for about 15 minutes. So good! Back to the burgers! 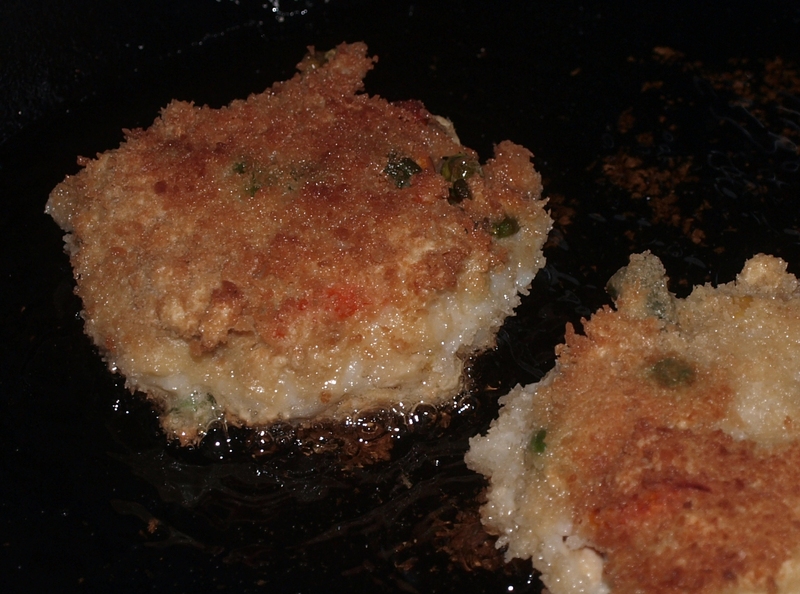 I mixed the cooked rice with a package of tempeh, garbanzo bean flour, some mixed veggies from the freezer, and a little orange extract, and formed the mixture into patties. Then, the patties got dunked in a batter of soy milk and more garbanzo bean flour, pressed into a plate of panko crumbs, and then fry, baby, fry! You can almost hear the sizzling, can’t you? To top it off, some beautiful red cabbage from our local Farmer’s Market (Yay, Lake City!). 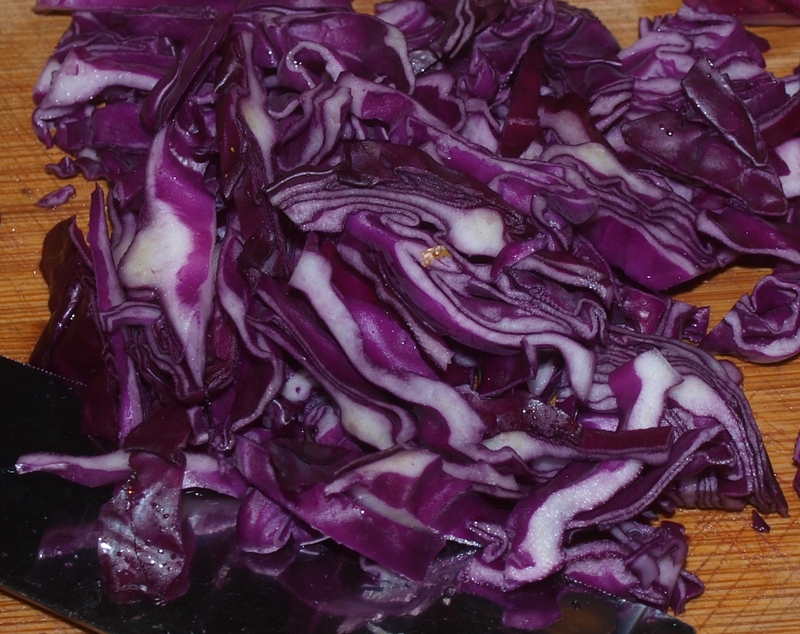 Why do they call it red cabbage? It’s purple! 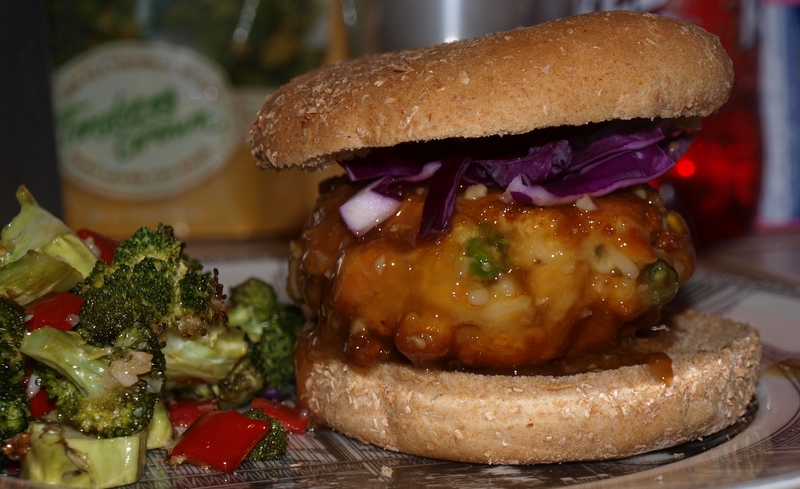 The final result: a beautiful burger on a whole wheat bun, smothered in the glaze, and topped with our gorgeous cabbage. And the verdict: oh, it was delicious. So good. Thanks, Dad. I just ate it, and I’m ready to eat it again. Hooray! I love this post a lot. I loved this dinner (I, too, want to eat it again after seeing these pictures). We really love the book. It’s got some really inspired recipes and ideas in it. Joni’s a great, creative cook and she really packed the book full of recipes.It even has a breakfast burgers chapter! Looks so delish! Nom nom nom. It blew my mind. It was not what I expected at all! So, so good!